Modern society tends to pigeonhole modes of thought into ‘scientific’ and ‘artistic’, and most education directs us down one or the other pathway, so it is pretty rare to find a musician who has embraced the advancing technology of music capture, distribution and reproduction to the extent that David Elias has. 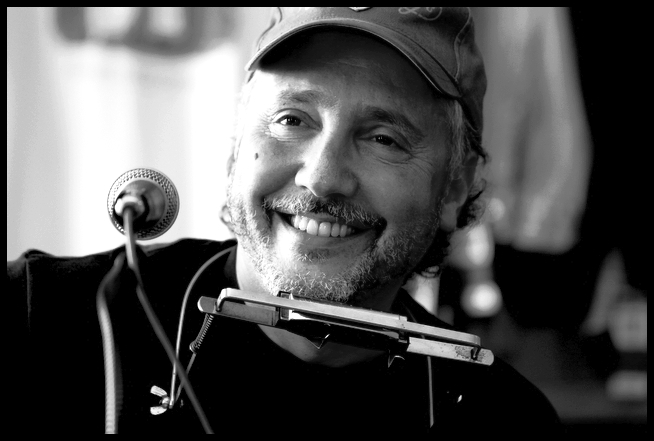 He is a self-proclaimed “independent acoustic high-resolution music pioneer” as a guitarist and singer-songwriter. David has been tech-savvy from the early days of micro computers in 1981 and a DIY musician since the mid ’90s, then in recording early applications of SACD development. Anyone serious about experiencing realistic recorded music reproduction should hear David’s high definition albums on a high performance playback system. To date he has issued 21 albums, which are available through the usual suspects as well as hi-res vendors like Superhirez, Native DSD, HDTT and TIDAL. David began performing in the San Francisco Bay area back in the early 1990s before moving to Hawaii. Since then he has won awards for high-definition 5.1 surround sound recordings, releasing his music in DSD since 2000, and pioneering DSD downloads in 2009. 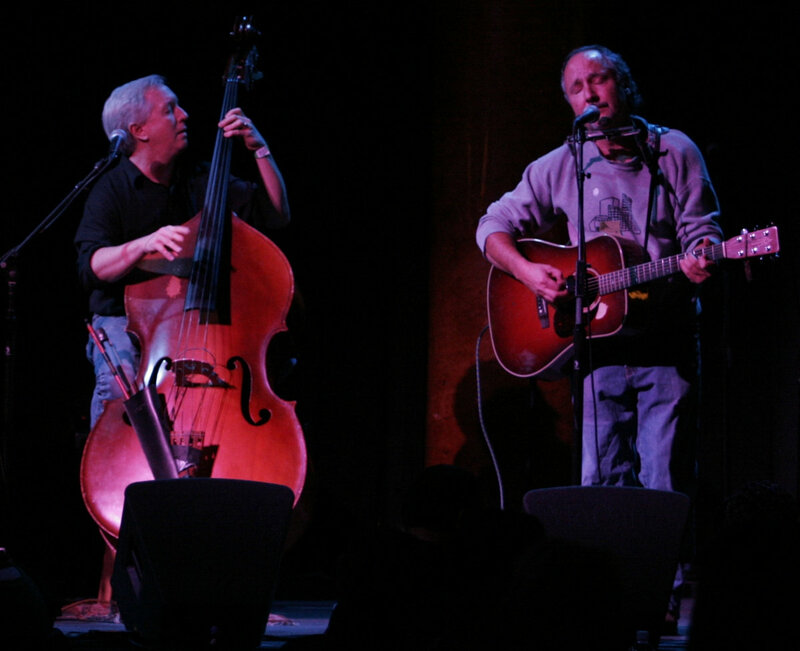 Musically, his songwriting has been compared to that of John Prine, Jim Croce, Nick Drake, Arlo Guthrie, Dan Hicks and Bruce Cockburn. His music is recognised for musical and sonic articulation and impact, and his peers know him as a songwriter’s songwriter. David is very knowledgeable on the history of high resolution recording and media formats, and writes on this and DSD, MQA and much more on his blog. 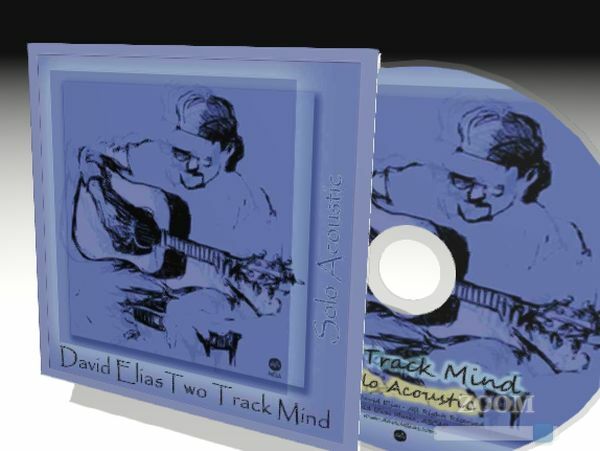 David’s new album Two Track Mind is one of the first MQA-encoded CDs issued. Fascinated by David’s unique stance at the intersection of musical artistry and recording technology advances, I tracked him down, and he kindly agreed to tell me about his vision and work. Following on from our conversation, David provided several of his albums in various formats for me to audition, so I got to hear him perform the songs, and ponder what I was hearing. It seems to me that the music writer, performer and recorder, who also mixes and masters the recordings, is in a pretty good position to judge when a recording sounds right for sharing with active listeners. He also has insights and experience that cut through any confusion about format compatibility and availability. Oh, and he writes very good songs and presents them engagingly. So now I’ve heard some MQA Masters, which I could play without any MQA decoding with a DAC. I also listened to his new release, Two Track Mind. David told me that this is, as far as he knew, the first commercial MQA CD released anywhere. Stereophile recently wrote a piece on a Japanese label that are releasing an MQA-encoded CD. They incorrectly stated it as a first when David’s album preceded it by at least two months.The disc copy is encoded 100 percent the same as the downloads. It’s a CD master (16/44.1) that he originally recorded in hi-res PCM, and mixed and mastered himself for the CD. The title Two Track Mind refers to the fact that this record was made using only two microphones and two tracks on the recorder, one each for vocal and guitar. David tells me that MQA’s time correction is clearly demonstrated in the quality of the encoded master as prepared by MQA Ltd.
Richard – You record and release your music only in HD formats. This makes you well outside the mainstream music business. Why did you choose that different path as a musician? David – This is not really the case. I was part of the initial wave of DIY home studio recording artists in the early ‘90s. My first CD Lost In The Green was recorded at 16/48 kHz in 1995 on a Tascam DA88 loaned to me by Roger Powell (of Todd Rundgren/Utopia fame). I mixed it myself using a vintage analogue Mackie 1202. The big thing that assisted was use of several very high caliber microphones loaned to me by Gus Skinas. They both encouraged me at the time to get my songs recorded and out on disc. Gus and I did the whole package. Since 1995, I’ve released my CDs and downloads in PCM format up to 24/96. I was introduced to DSD in 1999 by Gus and went on to experiment with early versions of what became the Sonoma DSD workstation. Initially the Sony prototype workstation was 2-track and referred to as an archival digital machine for their aging master tape vault. It went on to become multichannel and was used for studio and live recordings as well. Upon hearing some early analog masters transferred to DSD I was instantly a fan of the natural, incredibly resonant format over the standard Redbook CD which I never really liked (and I stayed with vinyl and cassette through the ‘80s into the ‘90s). I wanted to record acoustic as DSD with an acoustic band. We did that in 2002 with The Window. My catalogue shows my history with my introduction of SACD in 2003 with The Window and then Crossing in 2005. I’ve always basically wanted to get the most natural ambient sound to my recordings, whatever medium and format is available. DSD is top for this. MQA came along last year and proved to me that even PCM can sound much much much better than we are accustomed to through its time coherence corrections. I think I’m mostly outside the mainstream because I never tried to get signed anywhere, I never had a manager or booking agent or PR person, I never got organised beyond associating with amazing technicians, engineers, musicians, and music lovers at all levels of the spectrum. Some were famous and some were just notorious! I have an open book when it comes to arranging the songs. They are always influenced in each session by the band members. There is no “right way” to play any of the songs. It depends entirely on the band, the room, the crowd and the mood. I was asked once by someone in the audience if my thing was to always have a different band when I played. It wasn’t really that extreme but I did change personnel a lot over many years. More of a morphing approach, there was no formal fixed band member list ever. We were all friends and stayed that way. Richard – It’s very unusual for a songwriter to be so tech-savvy. How did you get into exclusively recording in HD format? How did you come to be so tech-savvy as a musician? David – I’m not exclusively hi-res but am a huge hi-res fan. Only in the past year or so have I re-released several CDs. The first was Rare To Go – December Solstice. The project was one of collecting the story of a working band if you will, that band being my buddies from Northern California known as The CasualTees. A variety of tracks were put together by me – and carefully mastered over a period of at least six months – that represented different facets of how a band works and records, including rehearsal with informal two mics in the room to review later, live stage at the Great American Music Hall, San Francisco, and studio takes for albums that either did or didn’t make it on other releases. I had two other CD releases in the past few months. 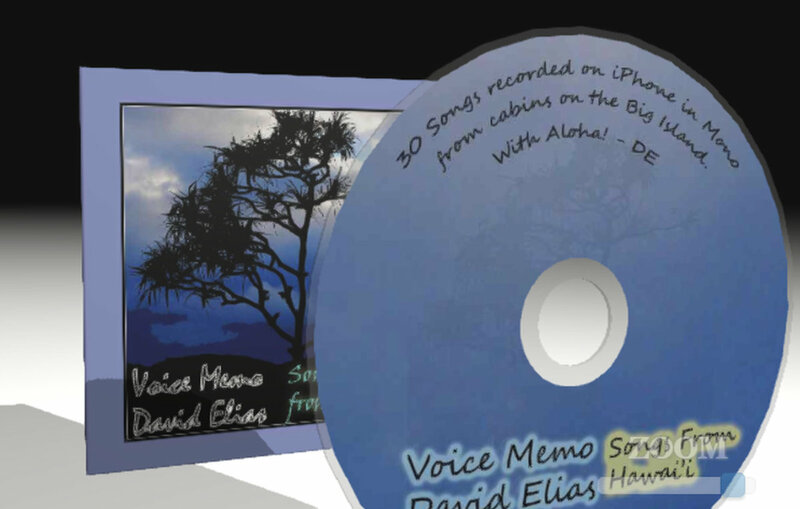 One is called Voice Memo: Songs From Hawaii and was recorded 100 percent on my iPhone. I upsampled and mastered the songs but wanted a disc that represented the act of writing the music and words. The iPhone is something I’ve used since 2007 to help remind me of things I’m writing when I write them. There are 30 tracks on that CD in a bit over 60 minutes of music. The other disc released is called Two Track Mind which is a CD of me in a home studio setup recording with just guitar, solo acoustic. So these latter two discs are something of a series I hope to continue as just that. Two Track Mind was done as 24/96 and I mastered for CD. I hope to do another release along these lines with hi-res DSD before too long. I am project oriented. I’ve been working with micro computers since the beginning of that revolution, starting on Apple’s II/IIe and moving to PC when it came out. I have a very sordid and extensive history of technology and am comfortable with learning new things in that regard. I began teaching myself HTML in 1995 with the birth of my first CD to get a web page online and then figure out how to get my music online. It was quite new and exciting. DSD (hi-res) was the same in the early 2000 era. In fact The Window was the world’s first hybrid stereo/5.1 SACD released by an independent, unsigned artist. I started listening to MQA in February 2016 and by July was an MQA Partner with my masters encoded by MQA Ltd online. I believe technology provides great tools for artistic expression without having to sound mechanical. Nearly all my work is live studio recorded, and nearly all without overdubs, edits, compression or other artifacts added to ‘enhance’ the sound. I go for what I’ve referred to as audio verite. DSD was the first digital format I heard that really allowed me to express that to others in a recording. Now MQA has achieved great results in the easy to distribute PCM lossless formats. My catalogue for MQA is extensive already. Richard – What is your relationship with OPPO as a ‘Partner’, and do you have other sponsors? David – I’ve worked with great companies including OPPO as an artist with the technical background. I’m into education and giving others more information about what they might need to make better decisions for better sound in their home studios. Also to artists looking for ways to move to a next step in delivering their work to the public. I’ve gotten the chance to combine that kind of educational goal with companies like OPPO, iFi-Audio, NativeDSD.com, Xtreme Media, SuperHiRez.com, HighDefTapeTransfers.com, and MQA Ltd as current relationships. Over the years of course there have been others. I like getting heard, plain and simple. I’ve been demo’d at trade shows by lots of companies including Mytek, exaSound, SuperAudioCenter, Sony and Positive Feedback Online. Richard – As a pioneer, what is your personal music mission? David – To get played! As long as people want to hear what I’m doing I’m very happy to share it, however that works. I write strictly for myself. I don’t plan songs. They emerge when they do almost always with the words and music, complete in one setting. I am thankful for that and don’t really mess with it, just let it happen when it does. I do have a lot of songs online, I think it’s about 200-plus at iTunes now, which isn’t even my whole released catalogue. My mission is to try to find ways to reach new ears, like by getting interviewed in magazines! Seriously, today I was helping someone in Saigon, Vietnam with my DSD downloads, and yesterday another in Indonesia with getting my MQA tracks played correctly on NAD/Bluesound gear. I’m always encouraged by the world music thing. 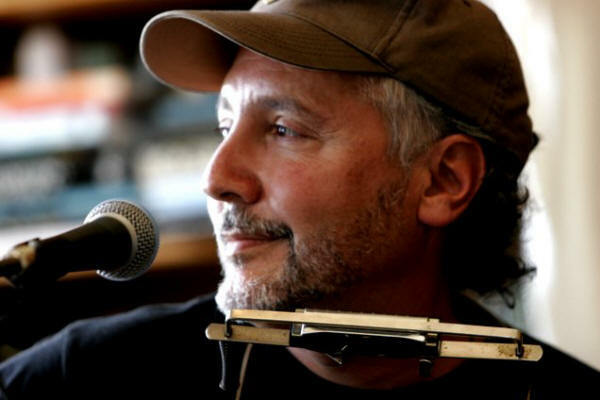 Richard – You have long pursued an independent path as a recording and performing musician. What benefits does that bring as an artist? David – It keeps it ‘art’ for me. I never treat it as a business from a planning perspective. Music has always had to pay its way so to speak. In order to record, buy a guitar, travel, setup home studio and stages with PA gear, and just production costs you have to sell quite a bit to keep up. So I used that approach all these years. Music has been part of my life as both a player and listener since I was very young. I’ve never taken a guitar or voice lesson. It’s just what I do. I’ve been hugely blessed by associations and tremendous friendships with other musicians, all talented beyond measure, all over the planet. That’s inspiration enough for me to continue. Richard – What equipment do you use in your music system at home? David – My setup right now is my trusted Monitor Audio Gold Series which I use as stereo as well as 5.0. I’m using an NAD 906 multichannel amp. 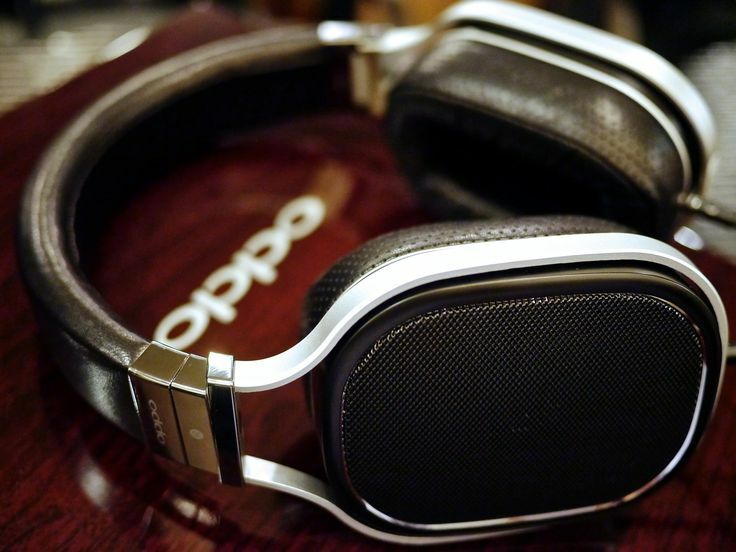 I use the OPPO 103 BDP. My best discovery recently was the addition of the iFi Audio iTube (I have the older model, there is an iTube2 now) preamp/buffer. I set it up as a preamp in between the OPPO 103 and the NAD. I use +6db and the incredible Digital Antidote feature. It brings a whole new layer of life to all registers, especially to bottom but equally good at highs and mids. The iTube analogue gain control is then my volume, leaving OPPO at 100. Truly incredible improvement in sound! On computer I’m using JRiver’s latest Media Center on Windows. I use the OPPO HA-2, another amazing product as the DSD/PCM DAC and headphone amp. For MQA I use the Meridian Explorer2 DAC. These are all portable. On my iPhone I use Onkyo’s HF Player with the $9.99 upgrade for HD, which does a great job with DSD and any hi-res PCM connected to the HA-2, which is also a phone charger, in my Levi’s pocket. Headphones vary between my favourite, the open planar magnetic OPPO PM-1, PM-3, and surprisingly great sounding and comfortable earbuds from Zipbud. I am waiting to receive the Zipbud Catalyst wireless set with AptX which I bought into on their Kickstarter campaign. Richard – What are your thoughts on the future of home audio? David – Wireless! I am trying to get there as best I can. I set up a DLNA Wi-Fi drive to try different things from, which works well. I am interested in advances in Bluetooth and just waiting for some of the lossless audio to get through the air waves. This is happening on TIDAL as you know, with MQA unfolding in their own player up to 24/96 and passed along to an MQA enabled DAC at full hi-res 24/352.8 and 384. Since September 2013, when Sony announced its HRA (Hi-Res Audio) initiative for better sound quality, a lot has happened for home audio. All the DSD DACs came pouring out at reasonable costs, then online DSD downloads, then MQA downloads. I was part of the initial offering on both of these, having had DSD downloads on my own site since 2009. The ante continues to be upped for sound quality and the price for many very high quality products has come down. Technology is like that. 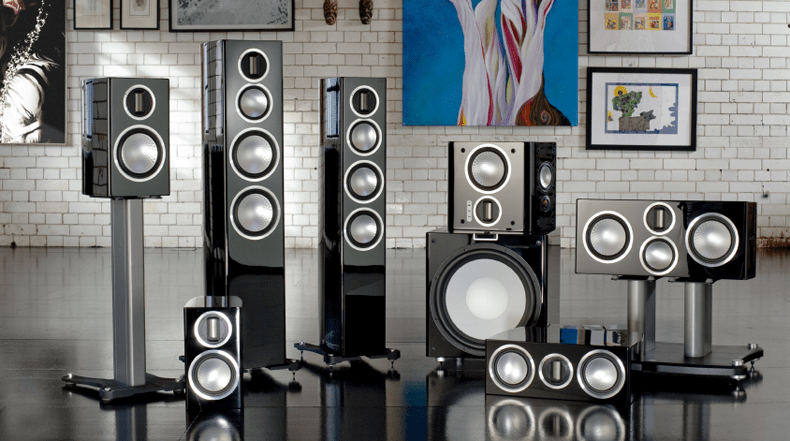 The components one can buy today can do so much more without jeopardising the sound quality. Attention is being paid by the retailers and services for better sound. I see Pandora and others now moving in that direction. That’s great in my opinion, since bandwidth is available and all the reasons from the ‘90s and early 2000s to have small lossy files to download are basically invalid today. It’s time to get the good sound to everyone without charging an arm and leg. Richard – It seems that most musicians are not much concerned about sound quality. Few can be identified as audiophiles. How do you explain that? David – Good question! I don’t know the answer. I think people care a lot more about sound quality in general than they are given credit for. I’ve yet to introduce anyone I know, very few being audiophiles, just music lovers, to good sounding recordings through good sounding gear (mobile or otherwise) that aren’t hugely impressed and interested in moving in that direction and asking me questions along those lines. In general there is a lack of education so it’s a big question mark as to what is real, what is needed, what is affordable. Most people may just shrug the whole question off and go with pretty crappy sounding Pandora or Spotify and be done with it. That I think is really changing and so the vendors are changing their direction accordingly. Richard – You have often been described as a folk artist. How do you see yourself? David – Who knows? Folk was never my genre of choice, but of course I was put there because of the guitar and harmonica, I guess. When I had my first CD come out online with Derek Sivers on his just-starting CDBaby in 1997 he wrote that I reminded him of John Prine in a really good way. I always liked that, and love Prine’s songs of course. I’ve been described as a huge host of characters really over the years ranging from Dan Hicks to Arlo to Paul Simon, Dylan, Petty, Prine, JT, Nick Drake and beyond. I remember once playing in Mountain View, California, outdoors at a cafe, all my original songs, and a guy sitting there came out at one point and said “you’re a chameleon”. He didn’t say I was a folk chameleon. In the ‘90s I started using the self-named genre Independent Acoustic and fill that in when I am asked for the category. It seems to work in most cases and does represent what I do. I’ve worked with lots of musicians, many of them playing electric instruments in my bands over the years. We’ve had some large bands including keyboards, electric guitars, pedal steel, electric bass and drums as well as a few acoustic instruments including mandolin, flute, tenor sax, guitars. I write on acoustic for the most part and think acoustic for the most part. I guess that could change one day, I don’t know. * Music by David Elias can be accessed at a variety of sources, including BandCamp, CDBaby, Superhirez, Native DSD, HDTT, TITAL, iTunes, Pandora and Spotify. Sony’s SACD project, Super Audio Center. David’s catalogue at CD Baby. 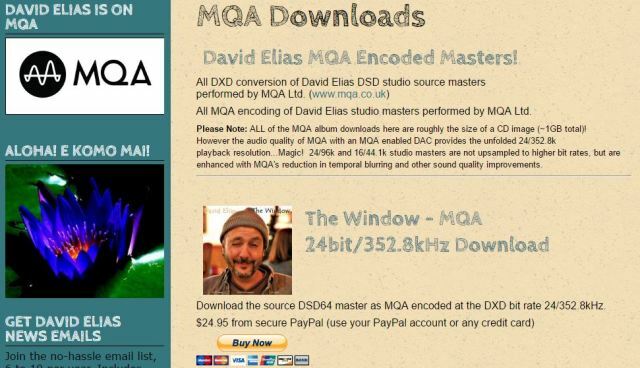 David’s MQA catalogue. His MQA partner page. David has partnered with OPPO, and sample HD tracks can be found here. He can often be found essaying about recording and playback on his blog The Art Of Listening and website David Elias.com.